Perhaps, JGV will grace Vegas with his presence more often in the near future, since his 420 seat, dark and moody behemoth — Jean-Georges Steakhouse — is going to need all the help it can get. Having Rob Moore in the kitchen at JGS will certainly help, but 420 seats is the size of seven Le Cirques! This place better hope Aria starts filling up fast. WHOA!!!! Denise Valdez actually caught Jean-Georges Vongerichten here in Vegas? She deserves another emmy for that alone. And 420 SEATS??!! Now that’s massive! 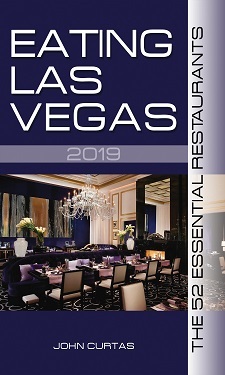 And perhaps Jean-Georges Vongerichten is the one to pull off something like this, since Prime is still such a cash cow for Bellagio, but it must still be a daunting task to make it work in such a huge restaurant without making it feel too much like some impersonal “food factory”.